How often do you look to your customers for a true understanding of their challenges? We collect huge amounts of data on them, but rarely use that data. In fact, only 0.5% of the data available to us is ever used or analyzed according to MIT Technology Review. The potential insight that data can provide us is going to waste. As Bernard Marr, CEO of Advanced Performance Institute, puts it: "To succeed and grow, a business needs to be able to acquire, retain, satisfy and engage their customers effectively. Customer analytics are vital for assessing how well your business does this." This notion also applies to your content marketing. In this article, I'm going to outline what customer insight is and show you how to apply it to your content strategy; I'll also list some tools that will assist you in your efforts. To understand insight, we must understand the data that fuels it. 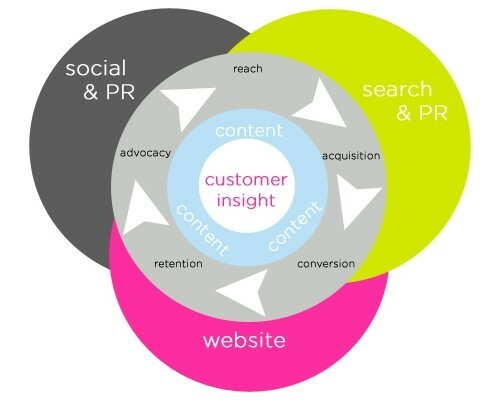 Customer analytics data helps to understand the path your customers take, and insight is what we derive from the data. If, for example, selling something online is your goal, then you should know what your customers did before and after they reached the checkout. Tom Whatley is digital marketing manager at marketing solution provider Seraph Science.